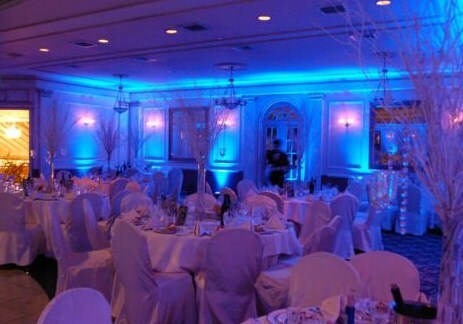 Our uplighting is state of the art. We use 8 par LED units. 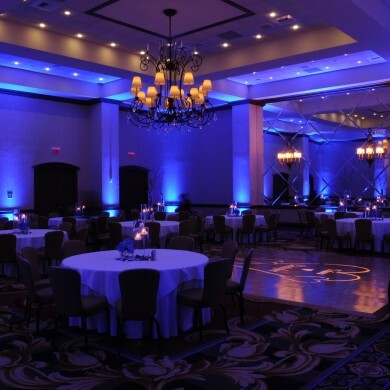 Each one is completelywireless and concealed with a panel to give it a custom built in look. 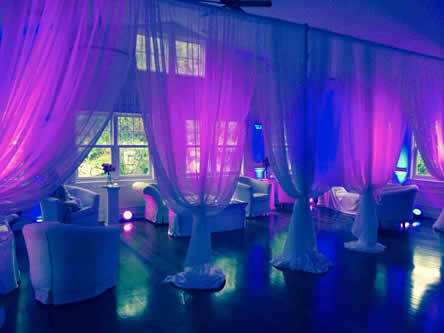 Best of all there are no wires present and nothing for your guests to trip over or make your reception look unsightly. 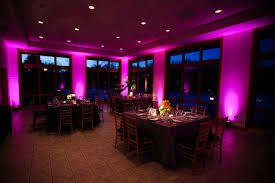 These lights do not even require an outlet since each unit is battery operated and can easily stay on for up to a 15 hour show! Price for this package is the "Addon" price for the Mobile Package. 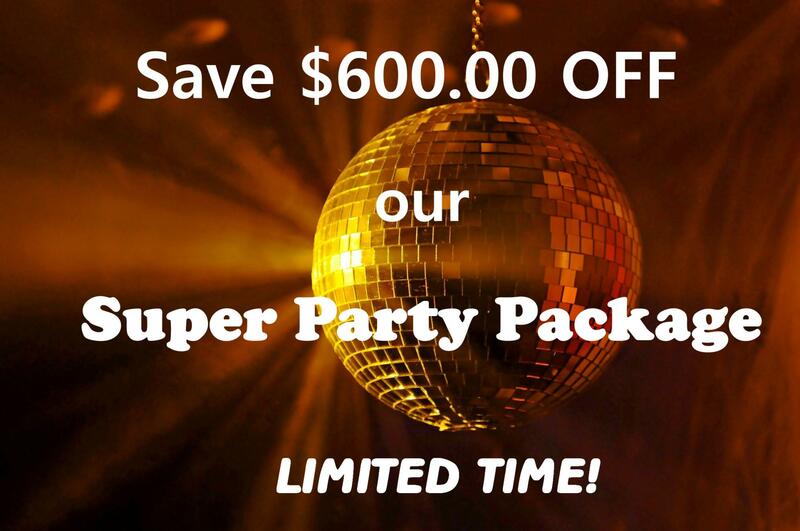 This is offered for free in our Super Party Package but you have to check it in the addon box to include it for your event. 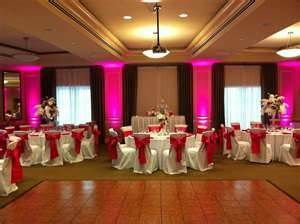 If you do not have us booked you may still be able to use our services for any uplighting for your event. 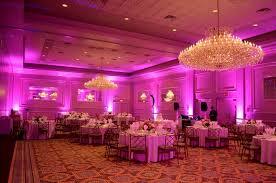 Please check availability and click on "Up Lighting" for rates.